Last summer I couldn’t put down one of her books while traveling throughout Europe. This last couple of weeks in New York I plowed through another novel of hers while on subways and in planes. Mary Doria Russell is a wonderful writer. Her work is smart, theological, challenging, and heart-felt; all recounted through the eyes of men and women that are all too human. I don’t think I’ve ever directly recommended a book on “A Bigger World Yet,” but her works are really wonderful pieces of literary art that touch on the human condition and what it is to wrestle with God in the face of trauma and human frailty. Topics that I think good art, no matter the media one is working on should be engaging in. 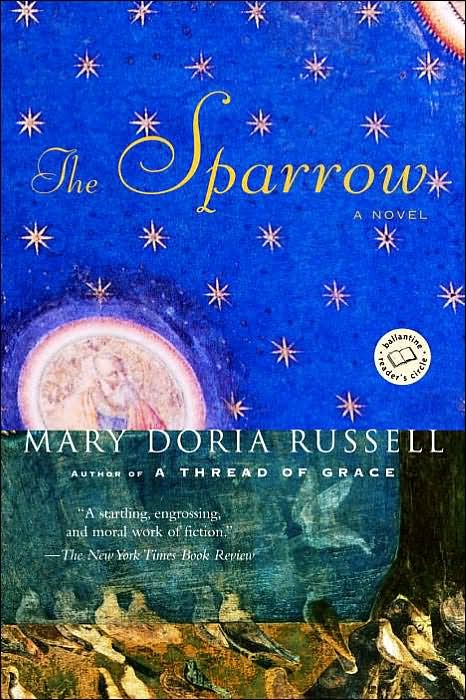 The first novel I read “The Sparrow” recounts a Jesuit mission in the future to a planet called Rakhat that scientists hear music coming from, just as the novel begins with the assembly of the team, it also jumps forward to the return of the single survivor of the trip a Jesuit linguist, Emilo Sandoz who has just arrived back in ship half dead, his hands torn to pieces. And so the novel begins at two points of a story. The second novel I just completed “Children of God” begins where the other left off and in some ways is even more harrowing as it wrestles with hope, forgiveness, and wrongdoing done in the name of good. I can’t recommend these books more highly. Thank you Clint Baldwin for recommending them to me years ago. 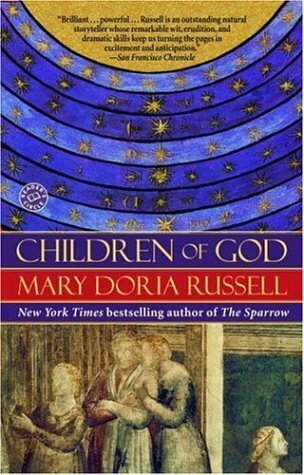 This entry was posted in Interesting.... and tagged a good novel, Children of God, Mary Dorai Russell, read this, spiritual, spiritual writing, summer reading, The Sparrow. Bookmark the permalink. I happened to read The Sparrow last summer and it was such a page-turner. I kept preparing for the worst outcome imaginable and it gripped me in the most unexpected way. I still need to finish reading Children of God and maybe once I’m done we could discuss it. There’s a ton of heavy stuff going on in those books and I definitely need someone to talk to about them.